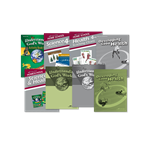 Abeka has simplified your preparation time with this curriculum and lesson plan guide. 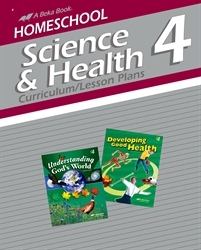 These conveniently prepared instructions will help you teach both health and science in Grade 4. Detailed, day-by-day lesson plans will tell you which pages to cover, visuals to use, helpful hints for teaching, homework to assign, and even games to keep your child engaged. Enrichment ideas, examples to write on the chalkboard, and progress reports are also included with these lessons to help you focus on your child more than on your preparation.